Last night we went to The Engine Room at Northcote Point for the first time in about a year and had yet another pleasurable experience. Over the years we have been many times, and they are consistently good in terms of quality and service and last night was no different. Admittedly the service was slower once the restaurant got busier but it was consistently friendly, professional and not stuffy. The menu is still small, but everything is done to perfection. 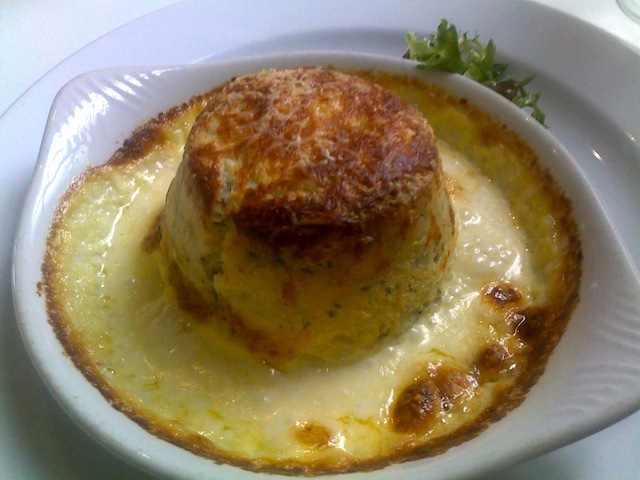 I started with the goats cheese souflee. This was lovely and light with chives for added flavour. 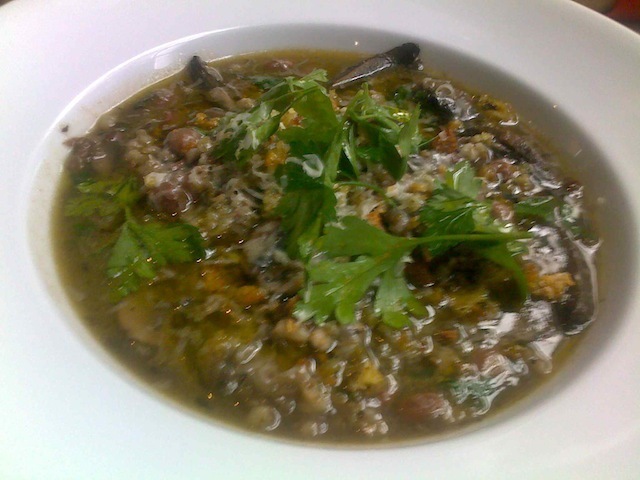 Jane started with the mushroom soup with barley and thoroughly enjoyed it. 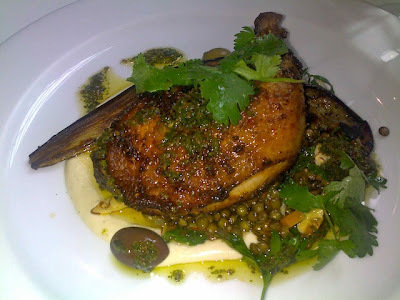 For my main I had the chicken which was done in a middle eastern style with lentils. It was a well executed dish. 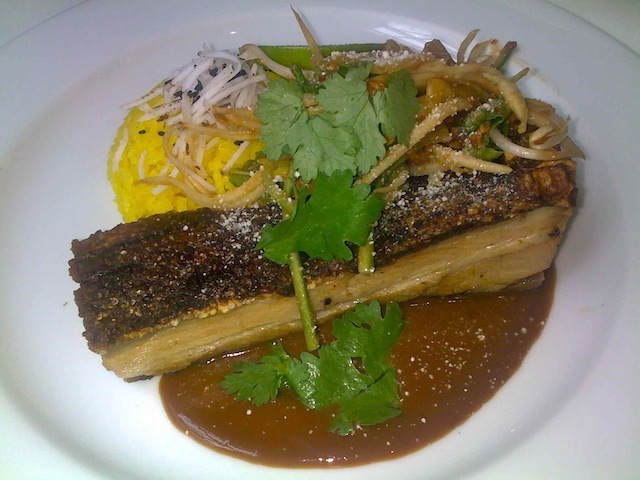 Jane had the pork belly and enjoyed it. Jane enjoyed a pavlova for dessert and I had the black doris plum and almond tart that was a nice balance of tart and smooth flavours. An enjoyable evening out and we will definitely be back. With a light greenish hue, Jules Taylor Sauvignon Blanc 2011 from Marlborough is magnificent. Great passionfruit flavours, fresh and nicely balanced. Drinking beautifully now.